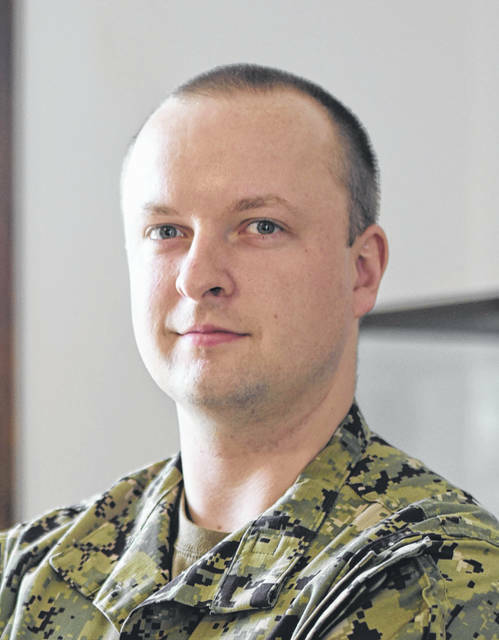 PENSACOLA, Fla. – A 2010 Olentangy Orange High School graduate and Columbus native is stationed with a command responsible for teaching future information warriors the skills required to defend America around the world. Petty Officer 1st Class Jared Vance works as a Navy cryptologic technician and instructor and operates out of the Information Warfare Training Command (IWTC) Corry Station. A Navy cryptologic technician operates and maintains electronic sensors and computer systems; collect, analyze, exploit, and disseminate electronic intelligence (ELINT) all in accordance with fleet and national tasking. Vance credits success in the Navy with lessons learned growing up in Columbus. IWTC Corry Station is just one component that makes up the Center for Information Warfare Training (CIWT) domain, headquartered at Naval Air Station Pensacola Corry Station, Florida. Charged with developing the future technical cadre of the information warfare community, the CIWT domain leads, manages, and delivers Navy and joint force training to 22,000 students annually. With 1,200 military, civilian and contracted staff members, CIWT oversees about 200 courses at four information warfare training commands, two detachments, and additional learning sites located throughout the United States and Japan. CIWT is responsible for training enlisted cryptologic technicians, information systems technicians, intelligence specialists, and electronics technicians. CIWT also provides training to cryptologic warfare, information professional, intelligence, and foreign area officers that prepares them to be prepared to wage battle, and assure the nation’s success in this burgeoning warfare arena. Vance has military ties with family members who have previously served, and is honored to carry on the family tradition. “My grandfather was in the Navy, and he encouraged me to enlist,” said Vance. While there are many ways to earn distinction in the Navy, Vance is most proud of helping other sailors and helping them make rank. As a member of one of the U.S. Navy’s most relied-upon assets, Vance and other sailors and staff know they are part of a legacy that will last beyond their lifetimes, serving as a key part of the information warfare community in its mission to gain a deep understanding of the inner workings of adversaries and developing unmatched knowledge of the battlespace during wartime. These sailors and staff have a tremendous responsibility in creating war-fighting options for fleet commanders and advising decision-makers at all levels as they serve worldwide aboard ships, submarines and aircraft and from the National Security Agency to the Pentagon.